Hey, my little fireflies! Things are happening in Lyla Payne land and I wanted to share them with you! 1. If you’re a Lowcountry reader, there is a novella coming later this month that will be FREE for newsletter subscribers (for a limited time). Make sure you’re signed up here. 3. You guys are my favorite. Stay tuned for more fun! You may recall that last year, about this time, I released an ebook with Bloomsbury Spark called Mistletoe & Mr. Right – some of you have even read it! Now, here I am all pumped and excited about…the same book? This pretty new HARDCOVER version of Mistletoe & Mr. Right does includeJessica and Grady’s story in Fanore Ireland. It also includes Christina and Cary’s story – one that takes place in London and follows two people who fell in love as teenagers try to figure out if they can do it again…or if they ever stopped. That second story is called Sleigh Bells & Second Chances, and it’s part of this beautiful book that you can go and find in real stores in your town. I’ve published a lot of books, you guys, but I’ve never done this before now–seen my book on a shelf at a national bookstore chain. Never had readers sending me pictures from those same stores in their hometowns. It’s a special day, and as always, I want to thank you so much for stepping onto this journey with me. Below are buy links if you want to grab the ebook, or grab a hard copy online. 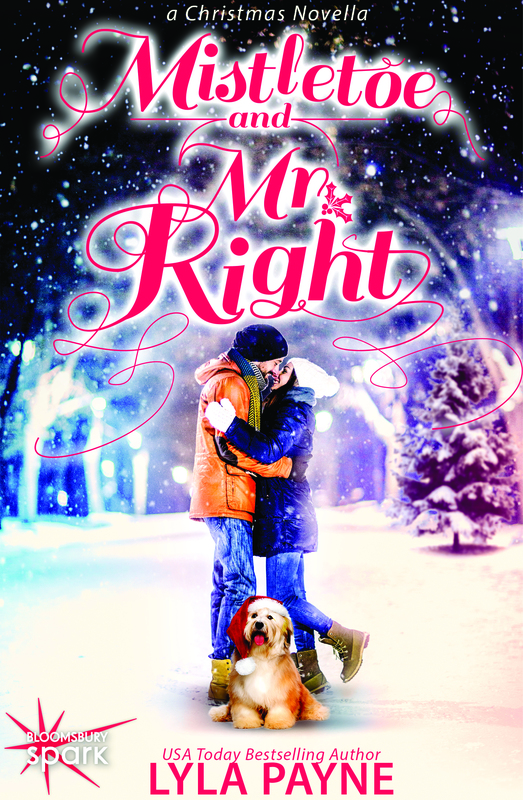 I may be a bit biased, but I think it would make a great holiday gift for all of those romance readers in your lives! Don’t forget to preorder Not Quite Clear (Lowcountry #5) – out October 27th! Who doesn’t love free things, right?? Well, the first free thing I’m want to tell you about is Not Quite Dead. It’s the first book in a quirky, funny, southern mystery (with non-scary ghosts!) and is also one of my very favorite things I’ve ever written. And it’s FREE everywhere except Barnes and Noble, who continues to love shooting themselves in the foot as far as what they’ll allow indie authors to do on their site. It’s $.99 there, so if you’re a Nook reader, I hope that’s not going to turn you away. You can find the links to download it here. 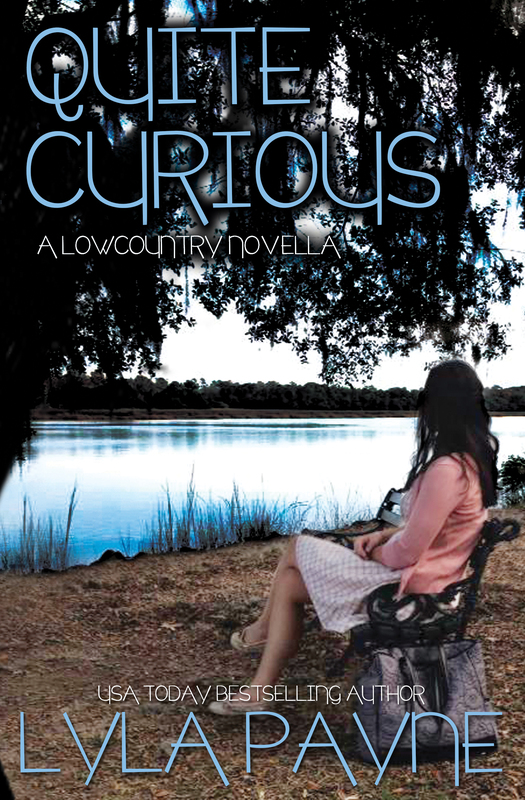 There are currently three books in the Lowcountry Mystery series, and although the mystery in each stands alone, the main character (Graciela) and her relationships spill over from book to book. I’ve decided that before the fourth book is released, I’m going to share a novella with you that offers some different points of view from the series and in general just deepens the stories and connections between characters. The best part is, if you’re signed up for my newsletter you’ll be able to read the novella – Quite Curious – EARLY and for FREE. You’ll need to be signed up no later than June 1, since the first part of the novella will be released June 2. Graciela is hoping that, despite the reappearance of her father—who’s supposed to be dead—her life in Heron Creek might be about the calm down. Her boyfriend’s mother has other ideas, ones that include getting to know her son’s new squeeze. The proposition makes Beau nervous for more than one reason, a couple of which would be news to Gracie. Amelia’s therapy appears to be going well, so that’s working in Gracie’s favor, but with trouble brewing in Will and Mel’s marriage, the moonshiners getting more involved in Heron Creek affairs instead of less, and Leo’s sister Lindsay returning from her stint in the state pen, settled isn’t the best word to describe life in the small town. Gracie is starting to think that maybe seeing ghosts is the least complicated thing about her…and she’s probably right. Includes POVs from Beau, Will, Leo, Amelia, and Clete. If you know you’re going to want the final product all together on your device you can preorder it from Amazon or iBooks. You can also add it to Goodreads! MISTLETOE AND MR. RIGHT COVER REVEAL!! It’s time for one of my favorite things in the writing process, y’all – a cover reveal! For those of you who haven’t heard, Bloomsbury Spark is publishing my Christmas novella set in Ireland in less than a month! Twas the night before Christmas and all through the house, not a creature was stirring…but lust refused to settle in for a long winter’s nap. She might be all nestled, snug in her bed, by why, oh why, do visions of the wrong guy dance in her head? Jessica, (not Jessie), figures that nothing could be better than a trip to the Emerald Isle for Christmas break. So she takes a flying leap and follows her boyfriend home for the holidays, not only sure that he will finally agree they’re destined for each other, but also that Ireland will provide the perfect backdrop to the beginning of their happily-ever-after. But it turns out his family–and his gorgeous ex-girlfriend–don’t feel the same way, and even the family goat seems to be conspiring against her well-laid plans. The only person making the trip worthwhile is the very last one she should be thinking about, but Grady, the local farmhand, has a way of showing up when Jessica needs him most…and least. USA Today bestselling author Lyla Payne wraps up the perfect holiday novella, ties it with a ribbon of romance, and tops it with a light dusting of snow. Perfect to curl up with under the tree. Just add hot cocoa! You can preorder Mistletoe and Mr. Right on Amazon or Barnes and Noble and it will be available November 20th on those platforms, as well as iBooks and Kobo! So, I think it’s totally adorable – what about you?! Are you excited to meet Jessi(ca)? ?